A committee of five, including the chair, will be responsible for the final selection of the recipient of the Award. Input may be solicited from the field, including librarians and young adults, but the selection will be made by the committee. Input should be received by the chair of the committee by November 1. The selection of the winner award will be made at the ALA Midwinter Meeting preceding the Annual Conference at which the award is to be presented. The five member selection committee is virtual and will serve an 18 month term. A new committee will be charged with the selection of the recipient for each annual award. 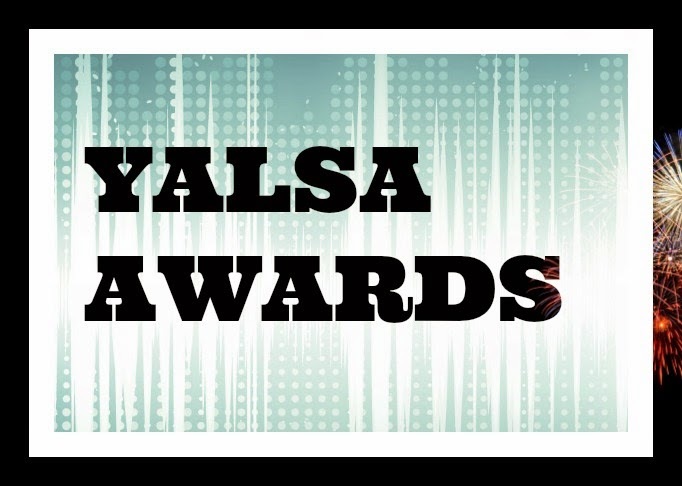 Two members of the committee will be appointed by the YALSA President-Elect and three members will be elected from names placed on the YALSA ballot. The chair of the committee will be appointed by the President-Elect from among the five members. This appointment will take place immediately after the election results are known. Committee members are not eligible for consecutive reappointment but they can stand for election to the subsequent committee. So basically the time-frame means a lot of reading and rereading over the next few months, and then a decision next fall/early winter. So I'll be pretty busy!